← Do Van Gundy’s and Belicheck’s public comments define how the NBA, NFL are viewed? College sports media students, advisers and faculty can spend two days at CMI’s Fourth Annual Training Camp and learn from the nation’s premier sports media professionals how to better inform and entertain your followers, no matter the media platform. This one-of-a-kind opportunity exclusively for college media will tackle sports storytelling, game analysis, social media and on-air radio and television. Sessions will address topics such as game coverage, feature writing, sports commentary, player & coach interviews, sports talk radio, play-by-play, working with sports information directors, blogging, sideline reporting, and sports broadcasting. Speakers will include professionals representing ESPN, Associated Press, The Ringer, Athlon Sports Magazines, National Sportscasters & Sportswriters Association, SB Nation, MLB.com, The Tennessee Titans, The Nashville Predators, and more (line-up subject to change). A limited number of attendees may also choose to attend a “Pre-Game Training” session to be held 6-9 p.m., Thursday, Feb. 9. 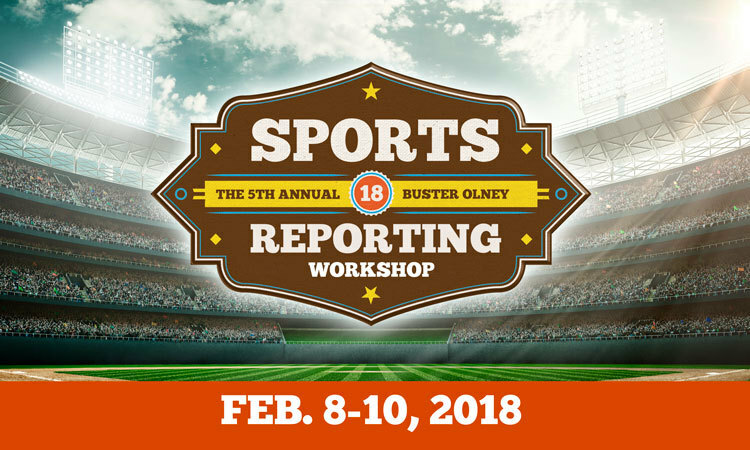 This session will include hands-on training led by Joe Gisondi, author of Field Guide to Covering Sports, as well as guest appearances from media professionals from ESPN and elsewhere. Pizza and soft drinks will be provided for this session. This session will take place at The John Seigenthaler Center. Registration is non-refundable, though you may transfer purchased tickets to others. This entry was posted in Sports Media Education, Training & Education and tagged College Media, College Media Institute, College Media Training Camp, college sports media, journalism, sports media, sports writing, sportswriting. Bookmark the permalink.